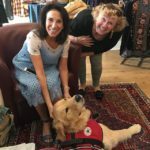 Welcome FASD Service Dog – Is it Paws-Able? 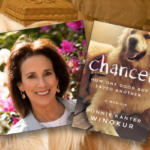 When a devastating diagnosis tears author Donnie Kanter Winokur’s family apart, an FASD service dog may be their best hope to stay together. 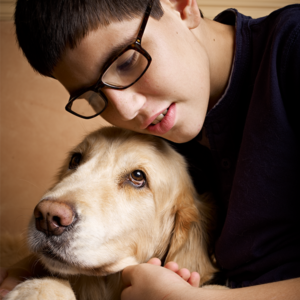 Can an FASD Service Dog help? Donnie Kanter Winokur and her husband, Harvey, never could have imagined the heart-wrenching struggle that becomes their new reality after they decide to adopt two infants from Russia. As Iyal and Morasha grow, it becomes clear that Iyal’s development is drastically lagging behind his sister’s. By age four, he has a devastating diagnosis: fetal alcohol syndrome. But naming their battle provides little relief as Iyal and his family try to cope with the lifelong impact of his invisible disability. 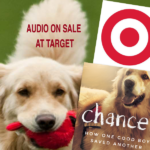 As the Winokurs’ marriage is unraveling, Donnie and Harvey hang on to the last shreds of their own promise—and the unimaginable thought of an FASD Service Dog. Sunday, August 19th, 3:00 to 5:00 pm. 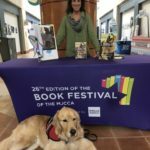 Life with Gracie: How a dog was boy’s best friend in dealing with fetal alcohol syndrome. Chancer, FASD service Dog.